The Price Science Commons and Research Library is a remodel and expansion of the Science Library located under the plaza bordered by Onyx Bridge, Klamath Hall, Cascade Hall, and Willamette Hall, within the Lokey Science Complex. 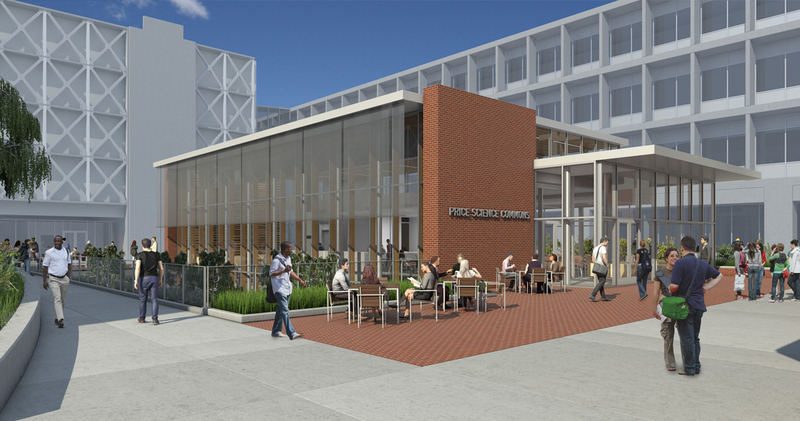 The current Science Library occupies 28,900 square feet. The renovated space will add 3,000 – 3,500 sf, creating more opportunities for seating, workstations, and student services. Page author: Edward H. Teague. Created Dec. 10, 2014.